Adorn your cozy interiors with hand-woven knotted art and hanging plants. Are you a DIY home decorator or plant lover? We got you! Macramé plant hangers are the perfect little touch to accent your cozy, designer home. Macramé—the art of knotting made popular in the seventies—is now on a revival, bringing trendy boho vibes into your living room, bedroom, and more. And there’s simply no better way to display your hanging plants than stringing them up in handmade woven knots. 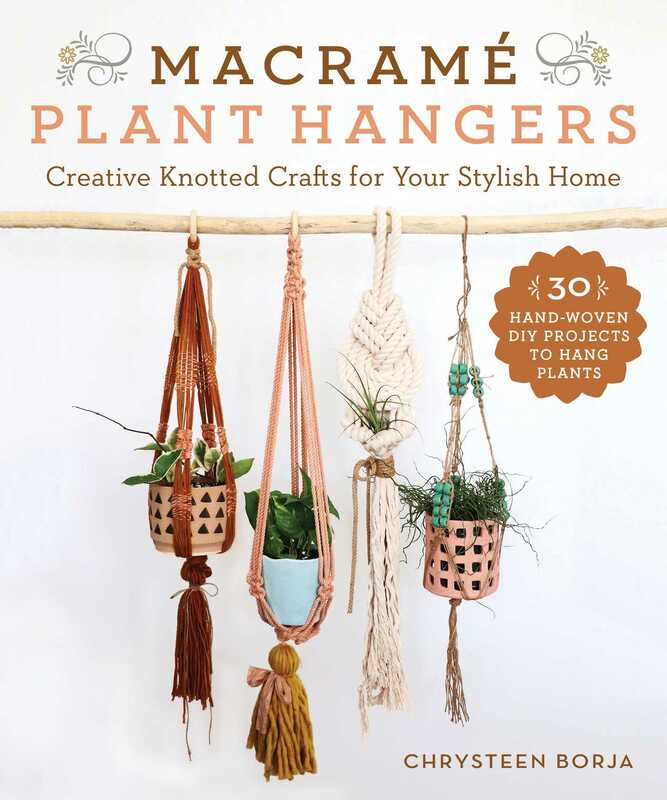 Whether you’re a novice or seasoned knotter, Macramé Plant Hangers provides thirty easy, stunning projects that will spark your DIY artist’s imagination and get you creating. Follow detailed photographs and instructions to construct patterns with natural cotton string for a softer look or twisted rope for a chunkier, sturdier appearance—suitable for bigger eight-inch pots or small four-inch pots (ideal for succulent fans!). Including a practical beginner’s section of knot basics, as well as customizable variations to add playful beads, funky fringes, and chic rope tassels to your macramé design for “whimsy,” Macramé Plant Hangers is your handy guidebook to adorning interiors with your own custom hand-knotted, vintage art you can be proud of—while keeping it green! Abby Wells is a crafter and maker, former elementary school teacher, and current stay-at-home mom of two small children. Her Etsy business ThankfulKnits sells macrame, knit, and crochet goods online. She also sells through vendor and maker markets, weddings, retail consignment, and wholesale in Ohio and beyond. She lives in Blacklick, Ohio.